One thing that many writers struggle with is finding the motivation to write. This may seem ridiculous, how can you be a writer that finds it tough to write? However, if you do you are not alone, and it certainly doesn’t make you any less of a writer. Being a great writer takes enormous amounts of time and effort, and you have to be genuinely dedicated to the craft, with little promise of any reward. You need to be hungry to keep learning, willing to take criticism and have the ability to take knocks, get back up and keep going regardless. Finding yourself staring at a blank page and feeling overwhelmed is pretty typical too. Writer's block can strike at any time though more often than not this state is because of a particular problem that we need to overcome. If our expectations are too high, if we are forcing ourselves to write something that we really don’t enjoy, if we are crippled by fear of rejection or even if we are too tired or lazy to write - these can all be issues which writers must tackle to wake up their inner writer and find inspiration once more. The good news is, however, that there are plenty of ways to help get motivated and remain so. So if you are in a bit of a writing slump of late, what can you do to find yourself refreshed, focused and productive once more? The best way to stay engaged in your writing is to do it as much as possible. It may feel slow and sluggish and a massive effort at first, but if you stick at it it will soon get more comfortable and feel much more natural. So keep your head down and get through the first, tough bit and you’ll be so glad you did. If you are in a writing slump, the last thing you want to do is be too hard on yourself. Don’t get distracted by picking apart everything you have just written. Get the words on the page first and worry about editing later. It’s always a good idea to try and figure out why you are feeling demotivated, that way you can take steps to make sure it doesn’t happen again. We all get distracted, we all procrastinate, we all get scared. 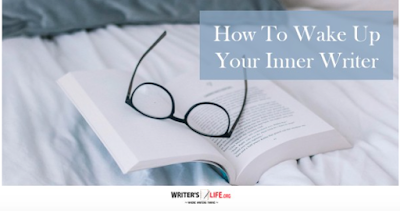 Find out what’s causing you to avoid writing and tackle it head-on. Sometimes we need to shake things up a little to get energized and excited about our writing once more. Go for coffee somewhere you’ve never been before, go for a bracing walk in the countryside, get an all-day bus pass, and people watch for a few hours. Changing the scenery can be so helpful and give you new ideas and inspiration too. Finding support can be so helpful to give your confidence a boost. Friends and relatives supporting you is fantastic, but why not also join a writing group, either virtually or find a local group to meet up with? Talking about your writing, sharing your worries and meeting likeminded people can be fantastic for kickstarting your motivation once more. By using these methods, we can wake up our inner writer and continue on our writing journeys and towards our goals. What tips do you have to stay motivated as a writer? We’d love to hear them! I must say I agree with much of what is said here. And I fell the group I have been attending has helped. It has been great to be giving and receiving feedback from others in the group and seeing what they have written. And when my class at work resumed this week, it also fun to see what the others came up with using pictures and connecting them into a piece. Because my class is every other Monday, and Presidents' Day is coming up, my next class will not be until March, but I'm already trying to decide on an exercise for then. and just last Saturday, I wrote another chapter in my sequel. As far as editing goes, it is easy for me to want to look for errors once I print out something, as this seems to come naturally. I'm now going to try avoid this as much as I can. Some habits aren't easy to break! I have once tried to going outside to do some writing, but have yet to try that again. Perhaps when the weather gets warmer, particularly in summer. Rain has ben occurring off and on in the last week or so, so getting out to write has been nearly impossible. But for me, getting outside is something I need to push myself to do, as I have never really been an outdoor person. All in all, I think these are good ideas. Whatever works for you (and it sounds as if writing outside isn't a winner). Writing is a tough gig, especially on the motivational end. I have found that changing the scenery does get the synapsis sparking.